Constantly chopping garlic is something that can lead to a smelly, sticky kitchen and fingers. In order to cut (no pun intended) my time down in the kitchen, I have found that making my own minced garlic is a BIG time-saver for meal prep – whether it’s for seasoning meat, veggies, or making dressing. I simply mince a whole head of garlic (or more), sprinkle with a bit of salt (to act as a preservative), place it in a mason jar, and pour in olive oil until just covered. Store it in your fridge and pull out when needed. 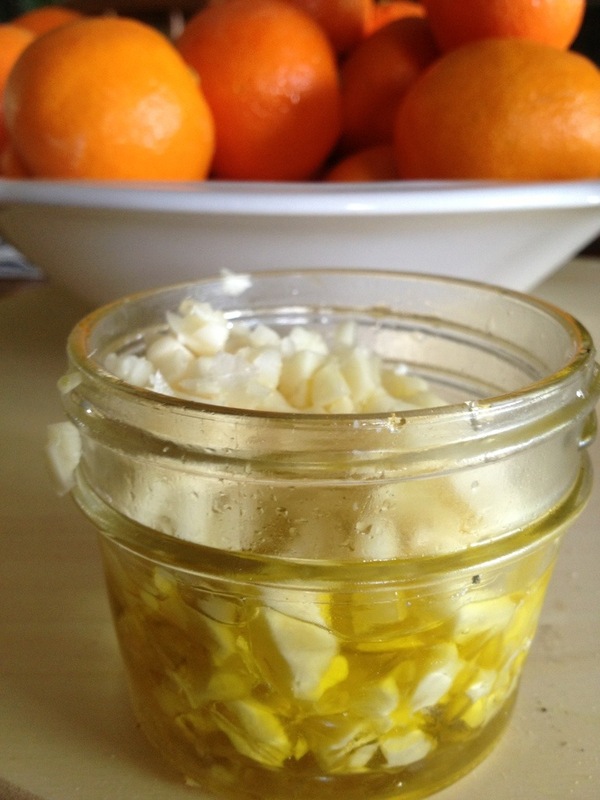 Better than the store-bought jars and better than making a mess every time you need some garlic! FAVORITE Waffle and Pancake Mix!